Hours ago, the official Skype for iPad app was released into the Apple App Store, before being swiftly taken down again. Update: The app has now resurfaced in the App Store and is available to download. 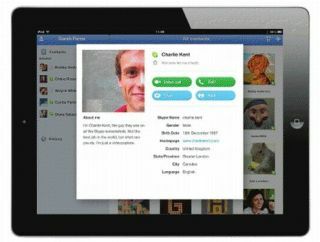 The new Skype app will enable users to video chat over Wi-Fi and 3G on their iPads. Skype pulled the app, saying, "To ensure your best Skype experience, we've temporarily removed Skype for iPad, which went live prematurely today. "We know you've been eagerly awaiting Skype for iPad and apologise for the inconvenience." Skype is hoping that offering video chat across 3G networks will give its iPad version an edge over Apple's proprietary FaceTime app. Skype is staying tight-lipped over when the iPad app will make it back to the App Store, but we wouldn't be surprised to see it on there very soon indeed.